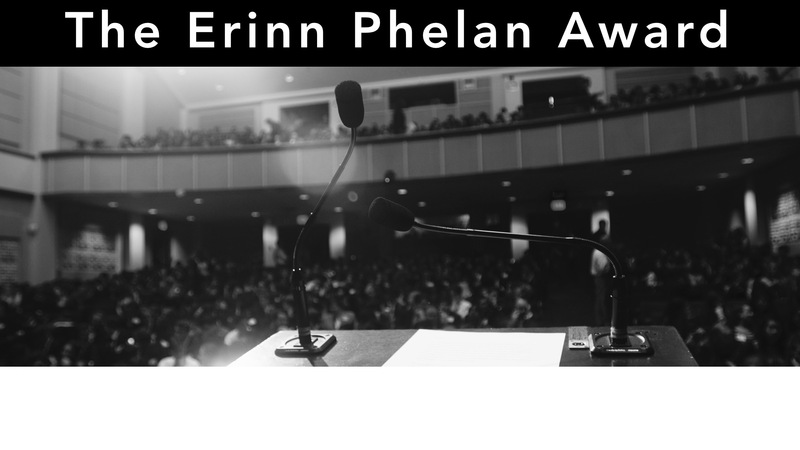 The Erinn Phelan Award, instituted in 2011, is granted to the delegate at BUSUN who demonstrates the greatest commitment to the empowerment of women. This very special award is given in honor of Erinn Phelan, a former BUSUN Secretary-General. Erinn was working as a coordinator in Mayor Bloomberg’s NYC Civic Corps when she was the victim of a hit-and-run accident. She was at that time accompanied by her close friend, Alma Guerrero, who is also a former BUSUN Secretary-General. BUSUN would like to honor these women and hopes that the award will serve to motivate all delegates to deepen their awareness of and commitment to women's empowerment. All interested delegates must submit a current resume. Applicants must also submit a short response to the prompt below. Select one specific issue related to women’s health or gender-based health disparities, briefly describe previous actions or relevant policies (on either a national or international scale), and suggest potential solutions. We encourage you to focus on one problem and geographic region, and to be specific in your analysis of solutions. Please respond in no more than 500 words. Both of these documents must be submitted to sg@busun.org by Friday, November 8th at 5:00 PM. Applicants reaching the next round will be offered a 15-minute interview with the Secretaries-General during BUSUN weekend. The Secretaries-General will also consult with committee chairs to review candidates&apos; position papers and performance in committee. The winner of this award will be announced at closing ceremonies and will receive $500 to be donated to the 501(c)(3) charitable organization of their choice.